Are field trips worth all the time and effort required to make them successful? Most teachers have asked themselves this question at one time or another, typically when feeling overwhelmed as they prepare for a field trip. The truth is that field trips at any grade level can cause quite a few headaches for teachers. At the same time, well-planned field trips can provide students with truly educational experiences they cannot get in the confines of the classroom. Following is a look at the pros and cons of field trips. Information is presented to students in a way that meets different learning modalities. Field trips provide students with the ability to learn by doing instead of just passively listening to the information being taught in class. Students are exposed to new experiences that hopefully broaden their horizons. This can be especially helpful for students from lower socio-economic backgrounds who may not have been exposed to these opportunities before. Concepts that have already been learned in the classroom can be reinforced. Sometimes seeing information being taught in a new way can make all the difference in student comprehension. There is quite a difference between being taught about something like hurricanes and wind speed and experiencing them in an exhibit at a science museum. Students are provided with shared reference points that teachers can then refer to and use in future classes. There may be an opportunity to have two or more disciplines use a field trip as an enrichment activity. For example, a trip to an art museum (art) coupled with a timeline for social studies (political systems in place when art was created) or a combination math (measurements) with science in a biosystem (river, beach, meadow). That way, multiple teachers can then refer back to things that students saw and experienced for the rest of the school year. Students and teachers can see each other in a different light, helping to increase communication between them. Some students who might be overlooked in class because they are quiet might really come alive on field trips. If parents are involved as chaperones, they can feel more connected to the teacher and the lessons being taught. They can get to know the teacher better and understand what teachers deal with daily. New standards in social studies and science require students to have experiences related to concepts in the discipline. In social studies, students are required to take informed action. In science, students need to be exposed to a series of concepts to help them to better understand the world around them. Field trips help teachers meet these objectives. 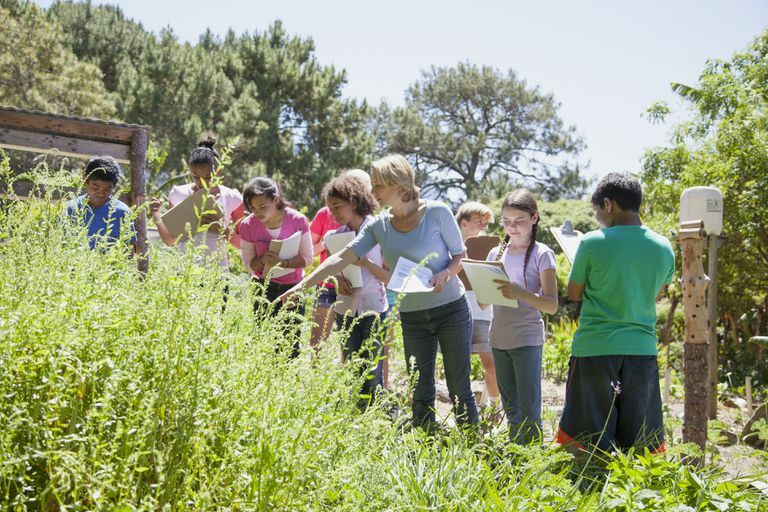 There are a number of concerns and challenges that teachers face when designing field trips that must be recognized and addressed before planning a field trip. Field Trips take time if teachers want to make the field trip meaningful. Teachers have to coordinate locations and transportation. They also need to create an effective lesson plan that they will follow when on the field trip. Students will be out of the school building for a field trip, which means they will miss other classes. If each core subject area (ELA, math science, social studies) offered one field trip during a school year, students would be out of the building for four days. School attendance policies may count these as excused absences, but any field trip that removes students from class reduces the number of classroom hours. Field trips can be expensive, and some students may not have the funds to attend. Organizers of the field trip may consider asking for parents to add a few dollars to scholarship students. There may need to be a fundraiser for students to raise money for more expensive trips. Teachers have to organize the collection of money and the assigning of chaperones. Teachers need to spend some time creating student groups that work for all students and ensuring that chaperones are assigned accordingly. There is often red tape that teachers have to deal with as they plan field trips including permission slips, medical information, and emergency procedures. 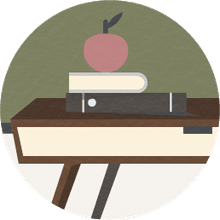 Schools typically require paperwork from teachers and their students. Students will be placed in a larger environment than the classroom. New surrounding could possibly lead to additional discipline problems. Because the teacher typically only leads a small group, they cannot keep control over the behavior of every student on the field trip. It is very important that teachers enforce rules strictly and create effective consequences for misbehavior while on field trips. The field trip destination might not live up to the teacher's expectations. The location might not be as interesting as the teacher thought it would be. The time to complete the field trip might be considerably less than was expected. Therefore, it is a good idea to have some contingency plan in mind just in case. There may be students who, for one reason or another, will not attend the field trip. Teachers must leave lessons, usually enrichment lessons, that mirror some of the concepts being experienced on the field trip. One of the best ways to measure the success of a field trip (other than returning all students back to the school) is to ask for feedback. Teachers can post a survey for participants and for other chaperones to express how they would evaluate the trip. Students should have the opportunity to reflect on the trip and write a response in a journal or essay. Requiring journal responses after the trip can solidify the information learned as students reflect about their new understandings. Asking students to write a thank you to the school principal for allowing the trip may even smooth the path to additional field trips. All in all, most teachers feel that well-chosen field trip destinations are quite worth the hassles associated with field trips. The key is taking the time to plan each aspect as much as possible. Teachers must be proactive when thinking about and planning field trips. Students, on the other hand, may remember the experience of the school field trip as a highlight of the school year, and the time they learned more than anything taught in class.